It’s been a life-long love affair. Tora Saeger grew up popping into Eddy’s Groceries for ice cream or a stick of beef jerky. That’s the landmark building at 903 Rogers NW. “I came every day,” she remembers. Word has it she had her first banana Laffy Taffy there. Saeger loved the proximity, the familiarity, the energy, and just being there. One sunny afternoon the adult Saeger was standing in the building and realized in one glorious, stunning moment, that if the building ever became available to her, she’d open her own restaurant. “I’m going to have my restaurant here,” she thought to herself. Guess what? That day arrived. 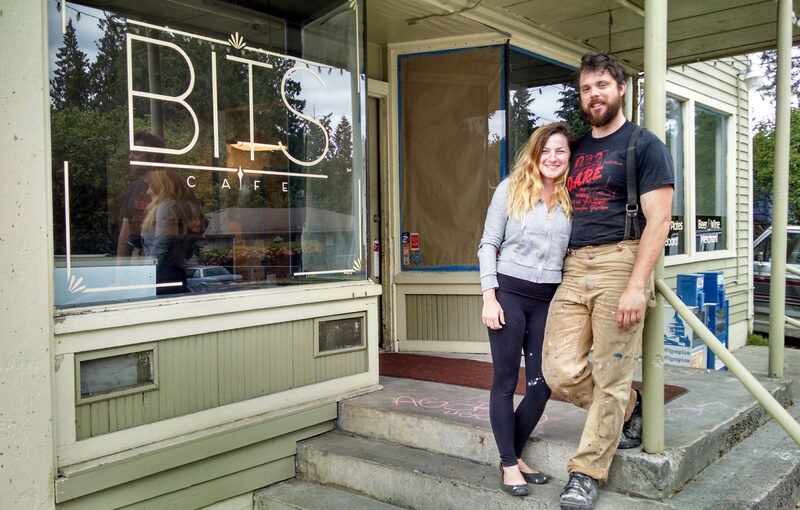 BITS is opening June 25. Earlier this year, Hart’s Mesa, the most recent occupant, let Saeger know it was relocating to a bigger kitchen in downtown Olympia. Saeger explained that it wasn’t as if she had been planning to open up a restaurant anywhere, though she’s worked in the restaurant industry much of her life. “It’s the location,” she emphasized. Since April, Saeger and her husband, Nate Kirkwood, have been busy getting everything together. The new restaurant will be a welcome and delightful addition to the neighborhood. You’re wondering about the name – BITS. The health minded couple is bringing their style of living and eating to the forefront. Saeger’s grandmother always served plenty of food in various bowls. “There were lots of bits of things,” Saeger explained. “It’s always been like that. We’re a snack family.” Their young family, which includes three children, continues to eat this way. They emphasize spending time together with experiences and desirable food. That means eating real, nutrient dense food that tastes wonderful. It means conversing and sharing and being present to the moment. Eating at BITS will be like eating at home with friends. BITS will brighten your morning by brewing your favorite espresso drink or blending a smoothie. There will be health shots, too. Some pastries will be baked in-house and others will come from the San Francisco Street Bakery and the Bread Peddler. There will be a menu of hot items such as breakfast burritos. Vegans and those with gluten sensitivities will have menu choices as well. Fresh produce will come from Rising River Farm. Look for vine ripened cucumbers and cream cheese on a bagel. Other familiar vendors will be used, such as coffee from Batdorf and Bronson. As much as possible, BITS will use seasonal and locally sourced ingredients. 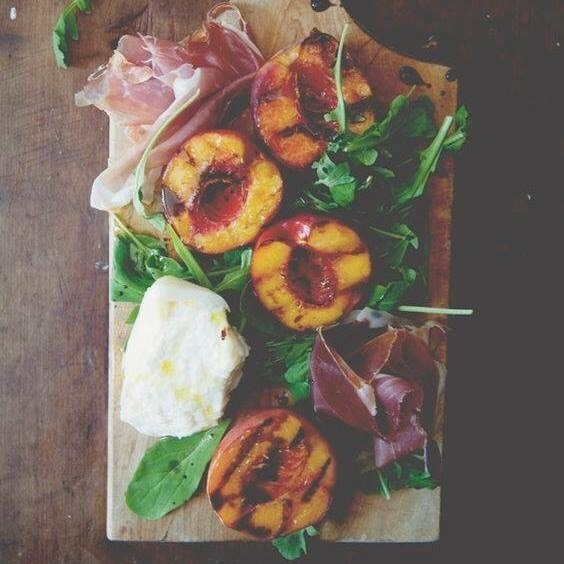 Lunches will be served on charcuterie-style wooden boards. There will be an array of delicious bits. In addition to meats and cheeses, there will be nuts, olives, pickles, schmears (spreads) and other savory tastes. You can sip a glass of beer, wine, or cider with your meal. The couple has been working around the clock to transform the now empty space – the equipment went out with Hart’s Mesa, taking the kitchen down to walls. The recently installed floors feel solid and look great. Bamboo tables are in various stages of being built. “We’re doing everything,” Saeger said. She gratefully acknowledged that Kirkwood is a renaissance man. Professionally, he is a glass artist doing large installations for Mary Van Cline. He’s very talented with his hands. Along with the remodeling, BITS is making environmental choices, as well. They will be using glass straws in-house and compostable ones for to-go orders. It’s exciting to have new activity in the neighborhood. With the Food Co-Op next-door people can go shopping and then enjoy a meal all within a few steps of each other. Soak up the summer weather from the outdoor seating in front. Eventually the side garden will be transformed into another eating and event space. If you see the lights burning late into the night, BITS is putting on the finishing touches for their initial opening on June 25. In the beginning, BITS will serve breakfast and lunch, opening at 7:00 a.m. on weekdays and at 8:00 a.m. on weekends. The kitchen closes at 2:00 p.m., but someone will be there until 7:00 p.m. for beer and wine sales. That’s a first for the neighborhood. You will be able to get your growler filled on your way home. Before long, the hours will be extended for serving a tapas style dinner. Join in the fun. Meet more of your neighbors. Create your own memories.